We are here for all your equipment needs. SESI is a locally owned and operated Saskatoon family business and as JLG & SKYTRAK authorized dealers we are committed to supplying Saskatoon & surrounding areas for years to come. Our Knowledgeable and qualified sales staff can assist you with determining which machine would be most suitable for your needs. Prompt service and attention to detail make SESI your best choice in equipment needs. As a JLG, SKYTRAK, TEREX & GENIE dealer we offer brand new sales and also carry a large inventory of top quality used equipment. WARRANTY is second to none, with a 1 year bumper to bumper, 2 year powertrain and a 5 year structural. We also offer daily, weekly, monthly, and long-term or premium rentals. 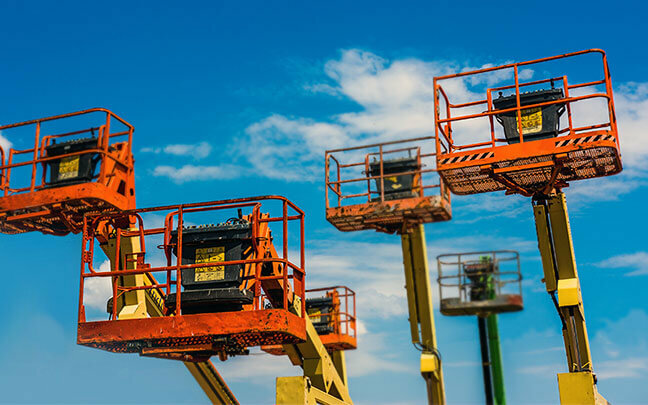 This includes telehandlers, straight boom, man lifts, mini excavators and various construction equipment. As an authorized distributor we provide any parts for your equipment. Shop locally for your best price. Need something moved? We can pick up and deliver your equipment from site to site, or deliver province wide.